The most cult-like workout class in San Francisco (the world? 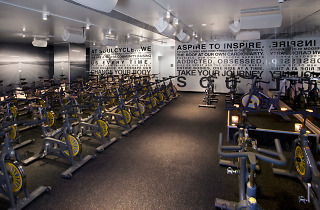 ), SoulCycle is 45 minutes of spinning set to dance music in a dark, packed room. The most cult-like workout class in San Francisco (the world?) is definitely SoulCycle. There are three locations in SF: one in SOMA, another in the Marina and a brand-spanking new studio in the Castro. The workout is 45 minutes of strong cycling set to dance music in a dark and packed room. If you get claustrophobic, you might want to skip this experience—there’s less than a foot of space between each bike. But if you’re not afraid to sweat dangerously close to your neighbor, grab a bike and get ready to work. 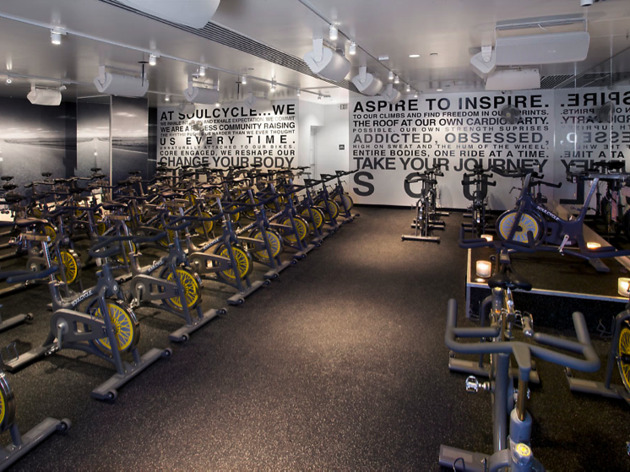 The best thing about SoulCycle is that the workout feels super quick. At the end of every class you can’t help but think, wait, that’s it? Do note that you’ll need special cycling shoes that clip into the bikes; they cost $2 per class, so if you don’t have your own, the total cost for one session is $32. Each location has a different locker room setup, so if you have to use the showers post-workout, be sure to call ahead and find out how many there are and how packed it’ll be.